SUNSHINE!! Not fully ready for legs out, think they need about 700 more coats of fake tan. And by the time I've done that it will be raining again. 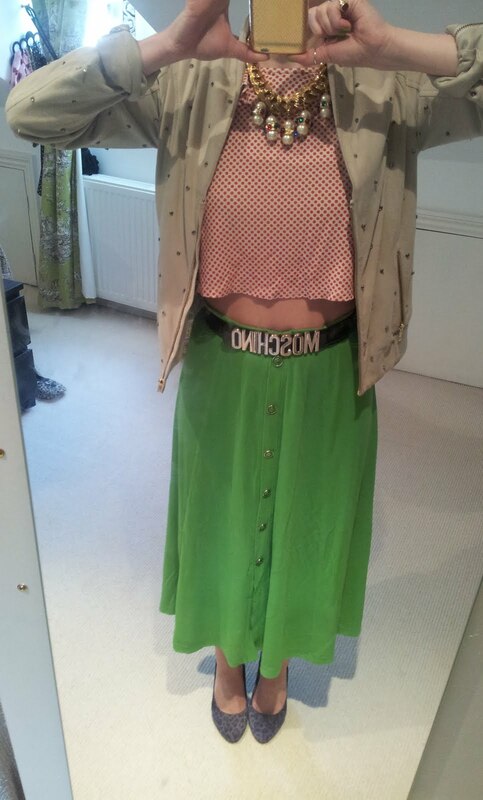 Skirt: Car boot sale for £1.50! 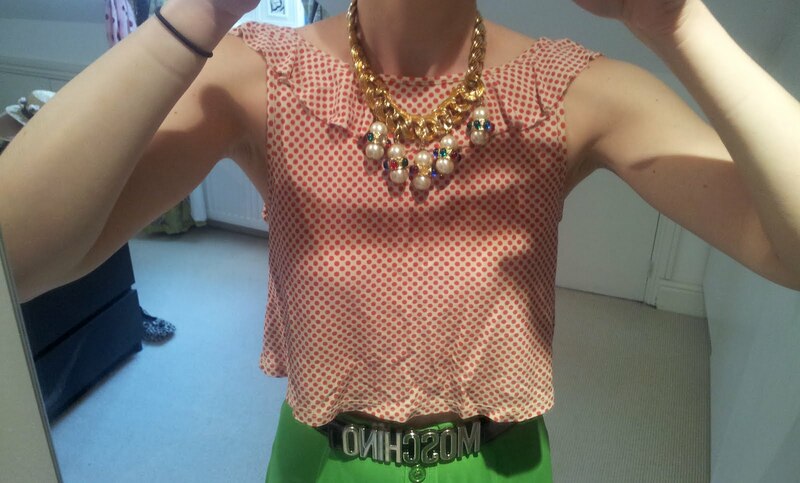 Belt: Moschino. Red polka dot frill cropped top: Topshop. Purple leopard heels: Faith. Suede jacket with diamante studs: Reiss. Giant pearl and gem necklace: Boutique by Susan Caplan.